[Labeling genetically engineered foods] would increase food costs paid by California consumers. The higher costs that farmers, food companies and grocers would face because of this proposition would be passed on to California consumers through higher food prices. That would hurt all California families—especially those who can least afford it, such as seniors on fixed incomes and low income families. An economic analysis of a similar measure that was rejected by Oregon voters found that the type of labeling regulations in the California proposition could cost an average family hundreds of dollars per year in higher food costs. Note that they analyzed a rejected Oregon proposal, not the proposal on which Californians will be voting in November! But Joanna Shepherd-Bailey, PhD, has analyzed the one in California. She’s the renowned tenured law professor from Emory who has testified before the US House of Representatives Judiciary Committee and before the Committee on Law and Justice of the National Academy of Sciences. Her analysis reveals—in direct contradiction to the propaganda being put forth by the biotech companies—that GMO labeling will likely cause no increase in consumer costs at all! In other words, these specious allegations about rising food costs is just the latest attack from the anti-labeling camp—those who don’t want you to know what you’re eating. Several weeks ago we told you about their specious charge that Label GMO will become a Prop 65 type “right to sue” law—that it would “create…frivolous and costly lawsuits” and would lead to abusive “bounty hunter”–style lawsuits that allow plaintiffs to keep a “bounty” of 25% of civil penalties collected—when in fact the initiative does not include the controversial bounty fees found in other California laws, and their entire campaign is based on disinformation. They are entitled to their own opinions, of course—just not their own facts. If you are a California resident, please consider being part of the campaign to educate your fellow Californians and get them to vote on November 6! Over 90% of Californians want their foods labeled—but it will never happen if citizens don’t understand the issues and get to the polls. Volunteer. Donate. Join a local group. And get the word out! Being able to see which foods contain genetically engineered ingredients is particularly important when you see how dangerous GE crops can be. Monsanto’s “Roundup Ready” crops have been genetically engineered to permit direct application of the Monsanto herbicide Roundup (glyphosate), allowing farmers to drench both their crops and crop land with the herbicide so as to be able to kill nearby weeds—and any other green thing the herbicide touches—without killing the crops. According to a recent animal study published in the journal Toxicology in Vitro, glyphosate, which is frequently present residually in GMO foods, can affect men’s testosterone and sperm counts. It is toxic to testicle cells, can even kill them, and significantly lowers testosterone synthesis. As Jonathan V. Wright, MD, in the July 2012 issue of his Nutrition & Healing newsletter, points out, synthetic herbicides and pesticides are essentially “environmental estrogens” in humans, as these molecules mimic estrogen activity. GMO agriculture has exacerbated this situation. 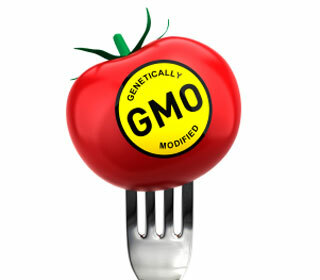 There are many, many more health issues with GMO foods, as you can read about in our earlier articles.